Lilongwe, Malawi … In preparation for the beginning of construction for the new central warehouse hub for Action for Progress, the well (borehole) is now complete and operational. 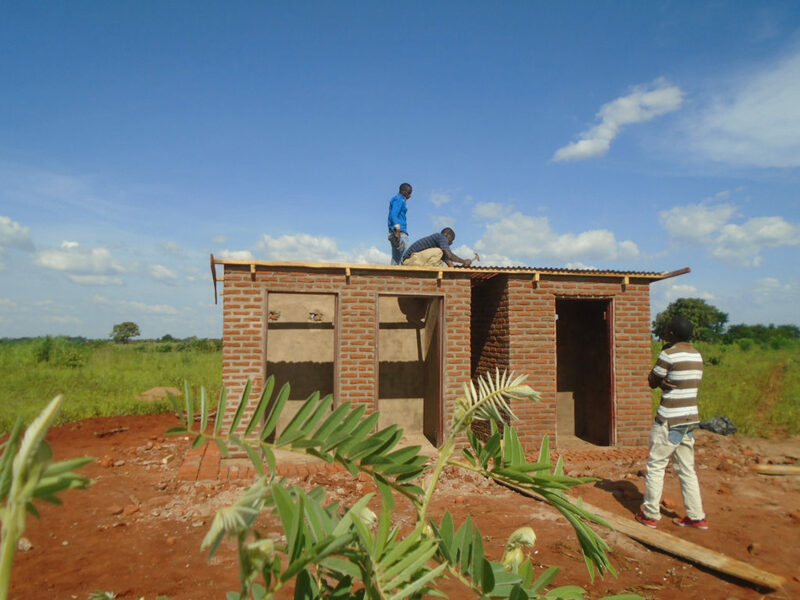 Moving to completion is the latrine and shower stations needed as the workmen begin the construction on the warehouse. After being located in the central region north of the capital for a number of years the Malawi Project moved its distribution operations to the southern region in 2008. The location was a small trading center located between the former capital city of Zomba and the industrial center of Blantyre. Through an agreement with the Namikango Mission in Thondwe, the Project was able to use a vacated building on the mission property free of charge for the next 10 years. Last year marked a major step forward in Project outreach when a group of Malawians formed Action for Progress as a companion organization to work beside the Malawi Project. In order to accommodate a major upsurge in supply distribution, and to take advantage of developing opportunities to create an assembly program for mobility units, the two groups jointly determined the warehouse needed to be housed in a location that would give easier access to the northern half of Malawi, have adequate space to increase operations, and take advantage of opportunities for assembly and manufacturing programs. A site west of the capital city of Lilongwe, near the old international airport, was chosen for a central site for operations. Wilson Tembo, who has headed up Project distribution during the stay in Thondwe, recently moved to Lilongwe to act as the Executive Director for Action for Progress. In October land was purchased in a rapidly expanding portion of the district. With the rains ending in a matter of weeks the new warehouse and distribution center will begin to take shape.